Not only soaring birds migrate at the Strait of Messina but also several songbirds moving mostly during the night. 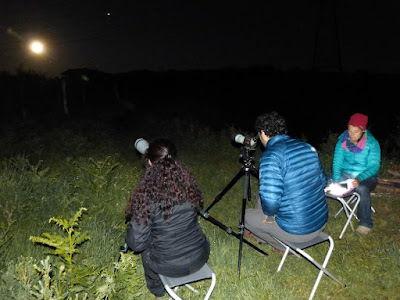 During the last full moon night we made a session of moon watching and, of course, our radars are tracking songbirds every night. Here in the pictures below a wonderful picture of a northern wheatear taken by Miguel Gonzalez and a shot of the moon watching night. 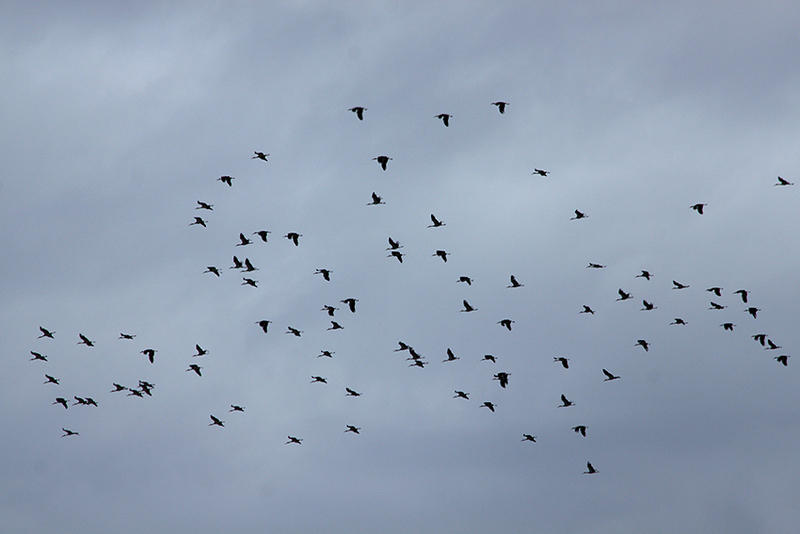 The migration is slowing down, and every day less raptors are observed. 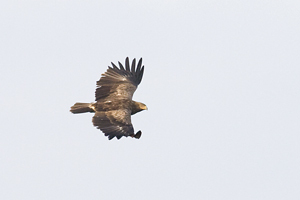 However from our Calabrian watchsite was observed a wonderful individual of Lesser-spotted Eagle moving toward north. 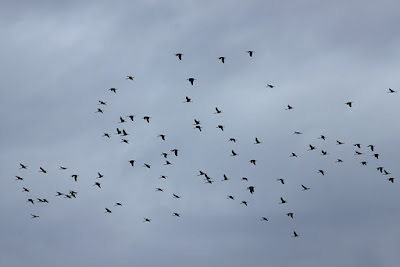 Here below some pictures (by Giovanni Cumbo) of a flock of about one hundred White Storks which was observed two days ago at the Sicilian side of the Strait of Messina. Here at the Strait of Messina Honey Buzzards are passing between one storm and another. 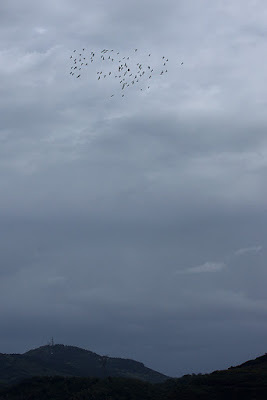 Yesterday in a break during the rain we counted more than 1500 raptors passing mostly toward the Tyrrhenian coast. 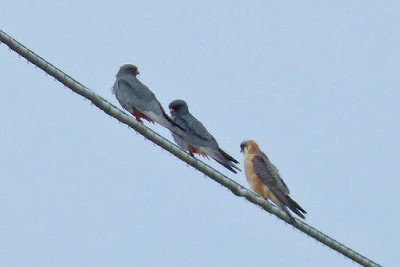 Here below a nice picture (by Juan Ramirez) of Red-footed Falcons perched on a wire close the radar station.